Welcome to the Dragonfly Hotel! Adam and Paul extend a warm welcome to all guests. 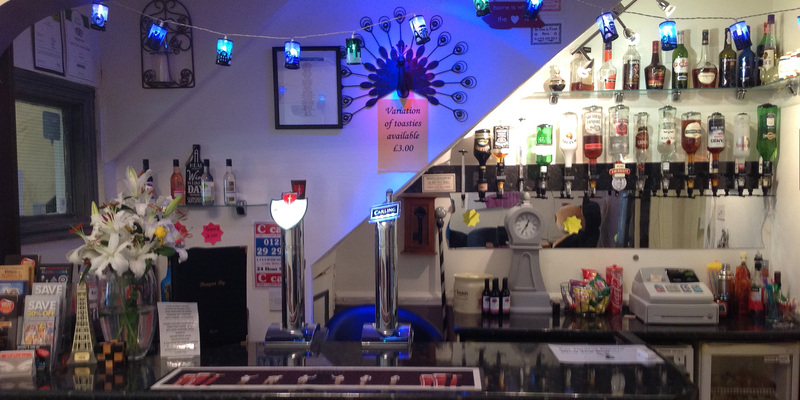 We pride ourselves on creating a friendly home from home atmosphere within a professionally run Blackpool guest house. 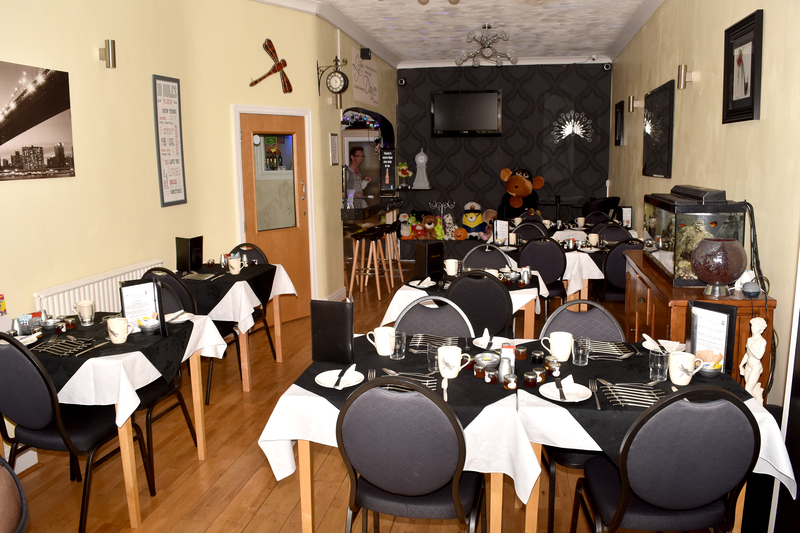 We are located right in the heart of Blackpool only 2 minutes from the beach, close to North Pier, Blackpool Tower and many other attractions. 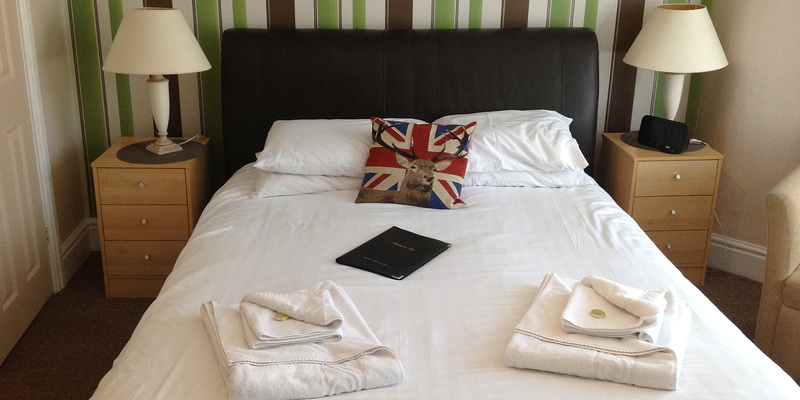 The Dragonfly offers 4 star quality hotel style accommodation, with a variety of room options available. For those looking for that extra special room we offer a Premier Suite with new King-size Leather sleigh bed and 2 Premier Double rooms. We provide accommodation for solo travelers, couples and small groups. (Large group bookings can be accommodated if booked directly). We welcome bookings from everybody. We are an adults only hotel. Our lounge and bar area boasts a contemporary style with modern comfy seating, ideal to relax in and enjoy a drink from our licensed bar. Free Wi-Fi is available throughout the guest house. 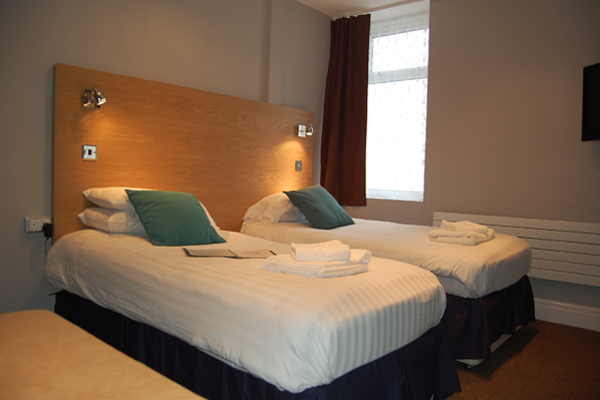 Car Parking is available close by and both the Train and Bus Station are only a 5 minute walk away. At the The Dragonfly, all Rooms are En-suite for your comfort, decorated to a high standard in a modern contemporary style. The Dragonfly facilities offers a wide selection of breakfast in the morning, a bar and lounge with a homely feel and evening meals. We stayed for 2 nights for a Stag/Hag do and took over the whole building. From the moment we arrived our hosts let us decorate the building and were so accommodating to our requests. The Dragonfly was amazing for our weekend. All the party said the rooms were lovely and beds comfy. The bar was open for when we needed it and breakfast after a heavy night of drinking was just perfect! On our second night we all did fancy dress and our host Scarlett took us on a bar crawl taking us to the best bars in the area. We all had a great time and would love to return in the future! Thank you! 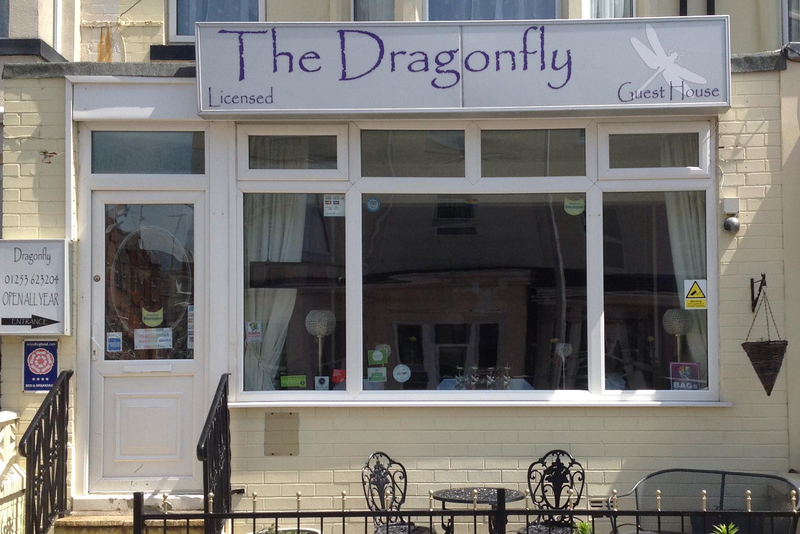 We visited the dragonfly on the 20th of April for a stag/hen/hag weekend. I was immediately impressed with the entire layout and attention to detail. All areas were so clean and the welcome was heartwarming by the lovely couple that run it. We had taken over the whole hotel for the weekend and I shared a 3 bed room. In the room the sheets were high quality,although the pillows weren’t that great and as someone who has lots of pillows at home due to a bad back,I could definitely have done with a few more. The shower was AMAZING and the bathroom was super clean (so important!!). I have got to mention the fantastic breakfast!the selection was vast and the quality of the food was second to none! We used the Dragonfly as a stopover after a concert, and was sorry we couldn't stay longer! 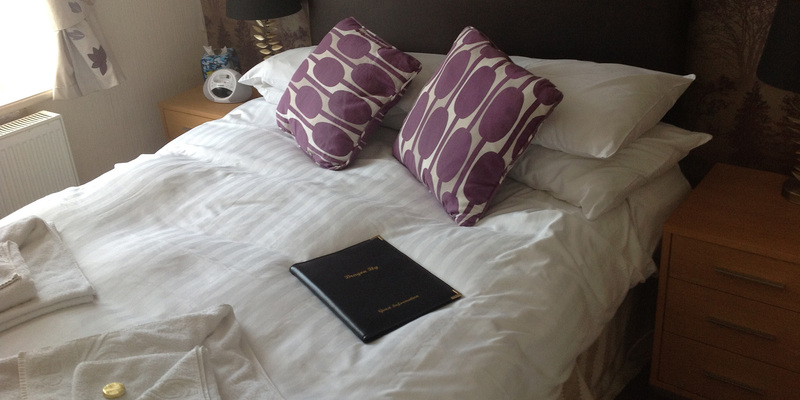 It is a great little hotel, beautifully decorated, clean and comfortable. We had the family room, two adults one child, with a humongous comfy king sized bed, and a separate roomy single, lots of lovely crisp fresh linen and plenty of towels. I could barely get my daughter out of the 'posh shower'! The owners are friendly and welcoming and the food is amazing. Sadly we didn't have our evening meal there (wish we had) but the cooked breakfast was perfect; fresh produce, cooked superbly. Our daughter was very excited to find she could have home made waffles and ice cream for breakfast, with fresh fruit and maple syrup. 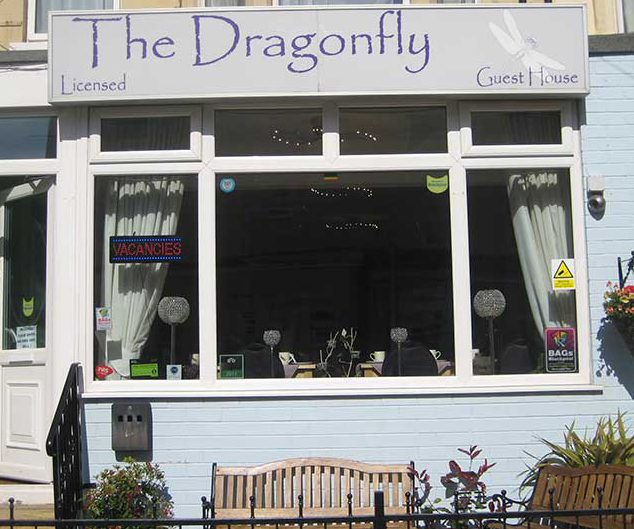 I would thoroughly recommend the Dragonfly to anyone visiting Blackpool. Spent a weekend here with friends and could not fault it! The rooms where clean, location fantastic and breakfast was lovely. Nothing was too much trouble - we even had a Buffett on the Saturday night! Would recommend highly and will be staying when we visit blackpool again. Just returned from a weekend at the dragonfly and really really couldn’t ask for better. Lovely hotel decorated nicely, clean, great hosts and really great value for money. Would definitely recommend and will stay again! Thank you for being part of our amazing weekend! all major payment Card, Debit, Switch or Credit Cards. 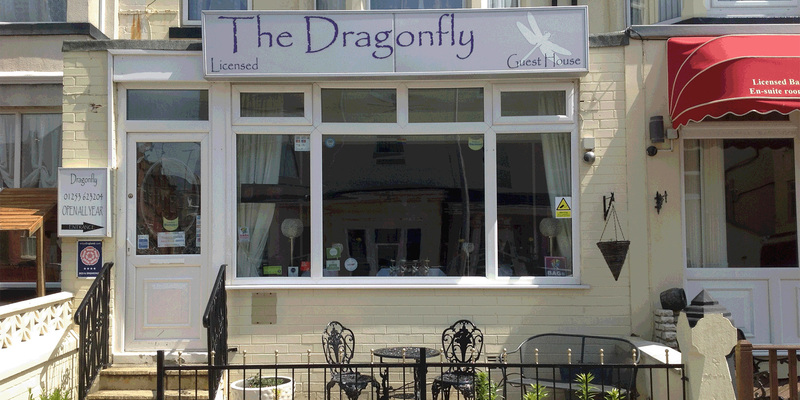 To make a booking, call The Dragonfly on 01253 623204, check availability and make a reservation. You will be required at the point of booking to pay a deposit of a minimum of £25 per person or a payment equal to one night stay. Please note that this deposit is non-refundable. Your deposit can be paid over the phone by Debit or Credit Card** On payment of the deposit your booking will be confirmed, a copy of the booking form, terms and conditions and receipt will be sent to you. You can also book online HERE. Booking TERMS & CONDITIONS can be viewed HERE. Please use the contact form below or give us a call!